Daisy Black looks at religious imagery, food, anti-Semitism and product placement in medieval mystery plays. Daisy lectures at the University of Wolverhampton and is a storyteller. Daisy Black looks at religious imagery, food, anti-Semitism and product placement in medieval mystery plays. Eaten by characters, dotted around the stage as saliva-prompting props, or nibbled by audiences - a medieval religious drama is glutted with food but Christianity’s vision of God as spiritual nutrition could provoke horror and fear as well as hunger. We'll hear about some of the gristly, crunchy medieval episodes of culinary performance as the Essay investigates the relationship between faith and food. In one play, sacramental bread is attacked in a kitchen, drawing disturbing parallels between the Eucharist and cannibalism. Daisy Black lectures in English at the University of Wolverhampton and performs as a storyteller and freelance theatre director. Her essay was recorded at this year's Free Thinking Festival with an audience at Sage Gateshead. 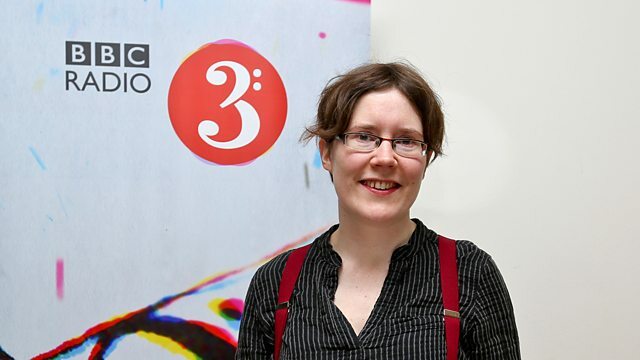 New Generation Thinkers is a scheme run by BBC Radio 3 and the Arts and Humanities Research Council to select 10 academics each year who can turn their research into radio.